What happens when the Death Star is blown to bits? Well, anyone that survives will be out of job and the same goes to Darth Vader – if he didn’t die. 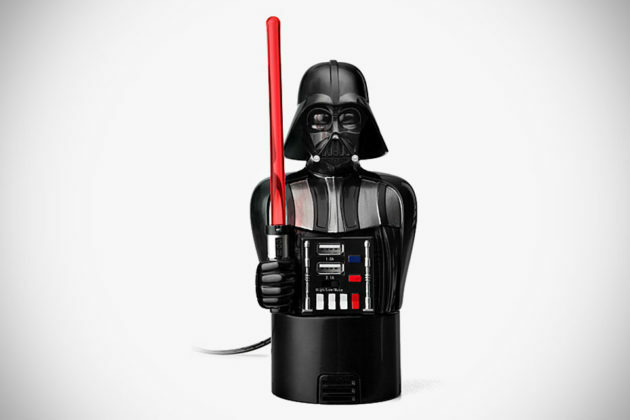 In fact, not only did he not die, he managed to find himself in more useful situations, such as help make bread crispy toasty, keep your room humidified, dries your hair, and now, the Lord Sith can even charge your smartphone and tablet as you travel in your vehicle – thanks to his incarnation as the Star Wars Darth Vader USB Car Charger. 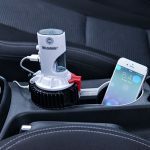 Like the R2-D2 variety, this USB car charger is designed to fit inside your vehicle’s cupholder and hooks up 12V power adapter aka cigarette lighter socket found in your automobile. 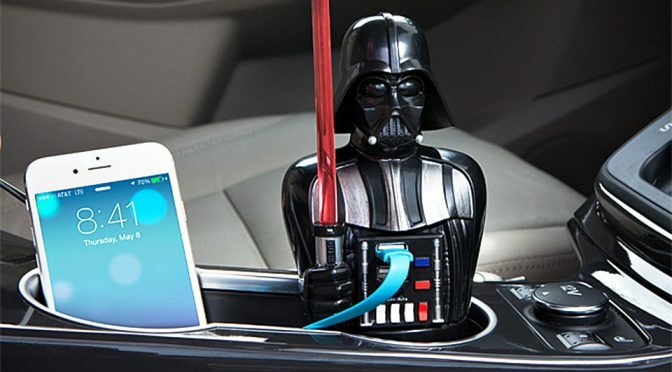 A base telescope allows the legless Vader to sit even in the deepest cupholders. 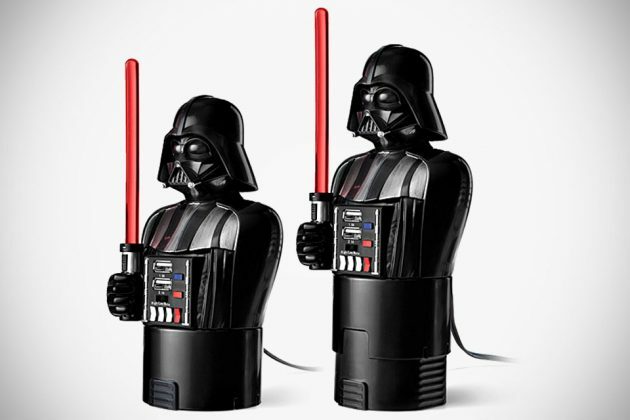 Outfitted with dual USB ports, one pushing out 2.1A and another with 1A, it can charge both your smartphone and tablet simultaneously while the Jedi-turned-villainous space samurai with over-the-air chocking ability hounds you with his signature heavy breathing soundtrack. 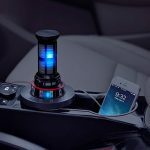 You can choose to turn off the breathing though, if you find it disturbing, or if it pleases you, can crank it up or lower the volume as desired. 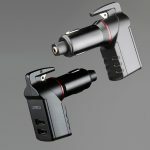 And as your devices are being charged, Vader’s lightsaber and chest plate will light up too, complete with the requisite sound effect for added authenticity. Rest assure that’s all this mini Vader will do. Absolutely no choking hazard. 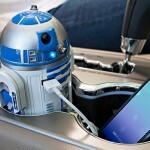 Though we love pretty much everything Star Wars, but this charger kind of bother us as tiny Darth Vader upper body appears to be contorted to fit the cupholder, or maybe he’s just ‘standing’ a salute? Anyways, if you are up for it, you will be glad that it cost a harmless $29.99 a pop.